If you've ever attended a play, or taken in a film at an old-style movie theater chances are good that you already know about fading. Just like the curtain that opens and closes on stage; marking the beginning and end of each new act... fading in a video editor works the same way. 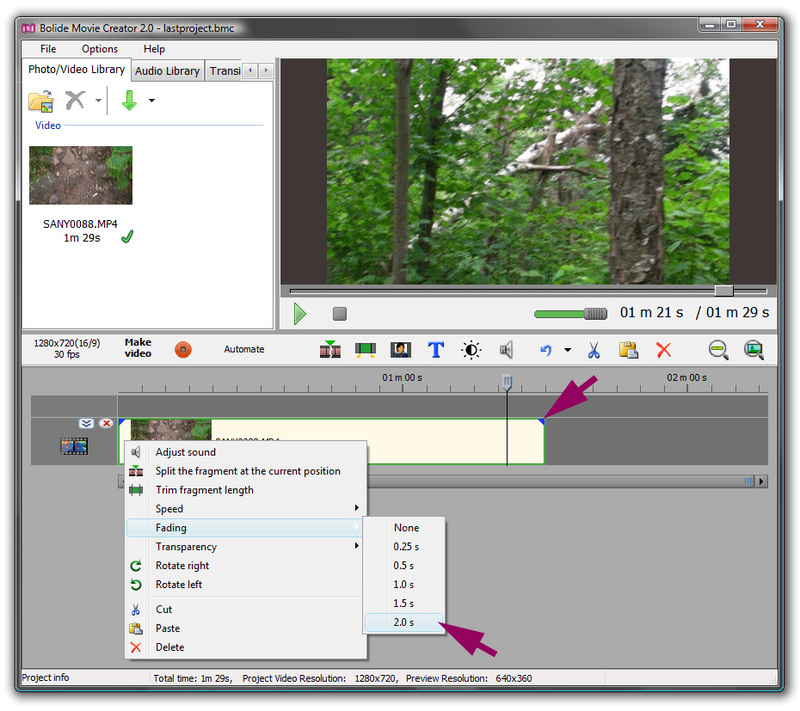 Fades let you create transitions at the beginning & end of a movie and in between clips. Only with a video editor, there's no curtain. Instead, it's replaced by a gradual fading from nothing into something, and then back to nothing again. To add a fade to your video clip, hover your cursor over the blue triangle located at the corner of the clip until the cursor changes to the <||> icon and reads Fade In (beginning of the clip) or Fade Out (end of the clip). Next, drag the blue triangle toward the center of the clip to highlight and set an area that will be affected by the Fade. Note: you can also right-click the clip and select Fading from the menu to apply a pre-defined fade length from 0.25 to 2.0 seconds. Notice how the image changes (darkens) when fade out is applied? Like a curtain closing on the clip, a fade effect will slowly fade out and darken (or fade in and lighten) the ends of your clips. 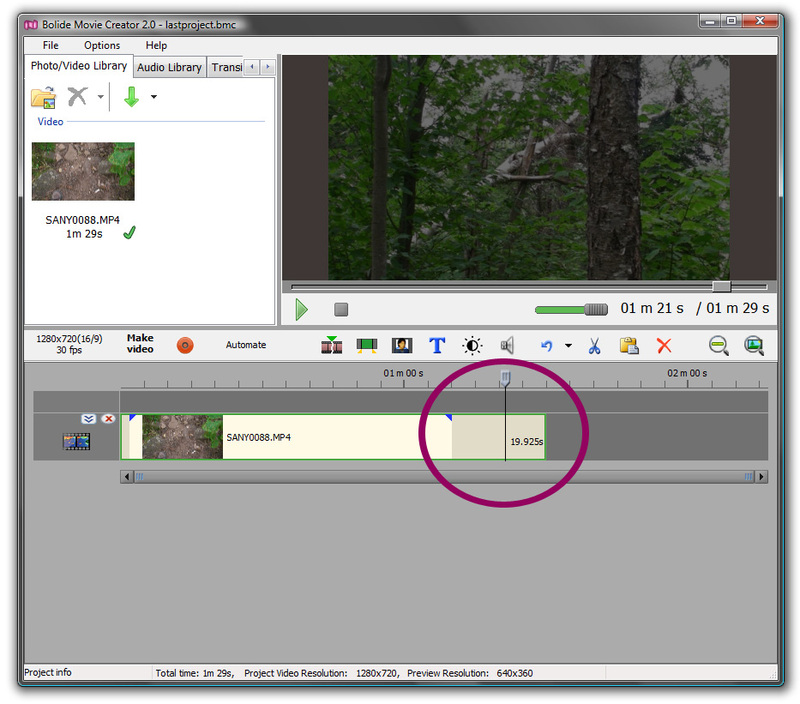 The Automate button lets you set fading for all clips in a given track using predefined times. Choose from various durations ranging from 0.5 to 2.0 seconds.